NBA Math Hoops is a fast-paced basketball board game, curriculum, and community experience for students in grades 3-8. The program is run by Learn Fresh, in partnership with NBA Cares. Participants learn fundamental math skills through direct engagement with their favorite NBA and WNBA players’ statistics, competing in an in-class basketball league against their peers. 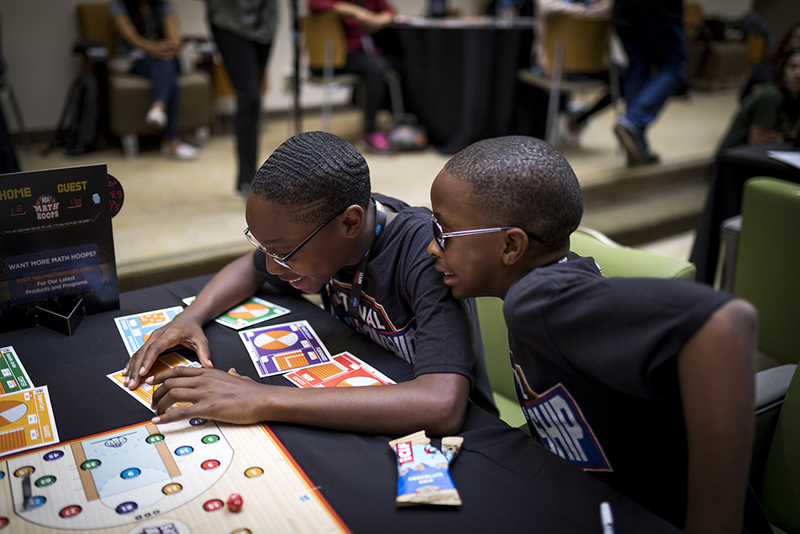 Each year, thousands of students take their game a step further, competing in NBA Math Hoops Championship events across the United States. The program’s curriculum is fully correlated to Common Core State Standards and 21st Century Learning Skills, and has been independently analyzed by the American Institutes for Research. 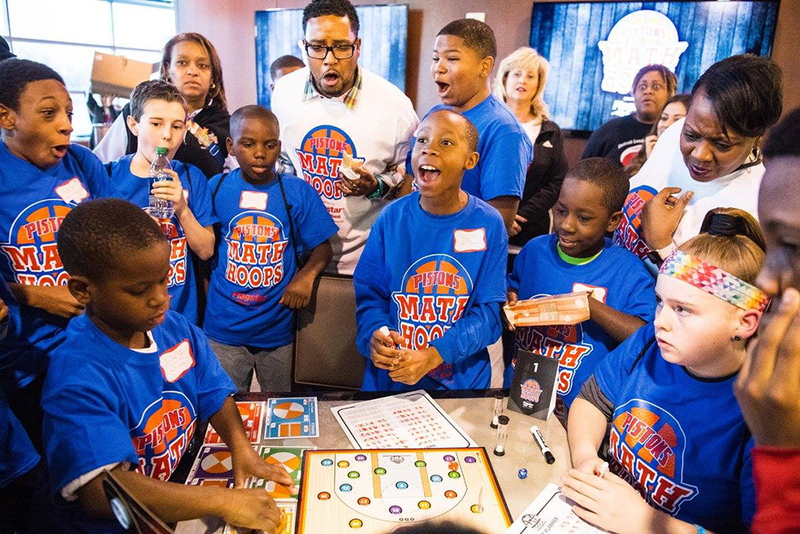 To date, nearly 135,000 students have solved more than 100 million math problems through the NBA Math Hoops program. And 92% of educators report that the program improves students’ overall attitudes towards math. Click here to learn more, or visit the iTunes store here to play online.